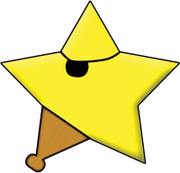 Awarded to Guppymomma for her tireless work on the Yppedia (and for also creating it in the first place), I, Sashamorning, hereby award you the bARRnstar! Just a list of a few links for easy access without digging. This page was last modified on 1 June 2010, at 23:03.